As expected, the previously announced starting price of $349 is only for the entry-level Sport model. Prices range from $549 to $1,100 for the mid-range watch. That's not out of line for a high-quality watch, analysts said. But Cook did not answer a key question for price-conscious consumers, Moorhead noted: How will Apple update the watch when it releases new models? Apple did answer another vital question, promising an estimated 18-hour battery life before the watch needs to be taken off and attached to a magnetic recharger. Numerous tech companies are already selling smartwatches, from the Samsung Gear and Motorola's Moto 360 to the Pebble Steel and other models made by smaller startups. Many run on Android Wear, the software platform from Google, and range from $100 to $500 or more. But most don't have as many features as the Apple Watch and they have not been big hits with consumers. 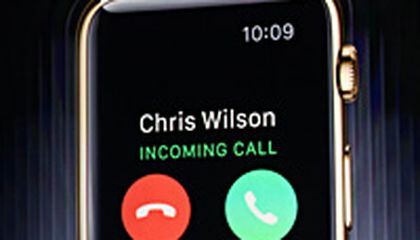 Apple executive Kevin Lynch walked through a simulation of a typical day, checking the watch for messages and calendar items, responding to a WeChat message, scrolling through some Instagram photos and speaking with Siri, Apple's voice-activated digital assistant, through the microphone on the watch. Cook hinted at bigger goals when he also announced that Apple has worked with leading medical institutions to develop an open-source software platform for iPhones to assist with medical research. He stopped just short of saying that Apple Watch, in combination with the iPhone, could be a key conduit for two-way delivery of health care information. For instance, it might send data about a person's metabolism to researchers while also reminding wearers to take their medicine or go exercise. 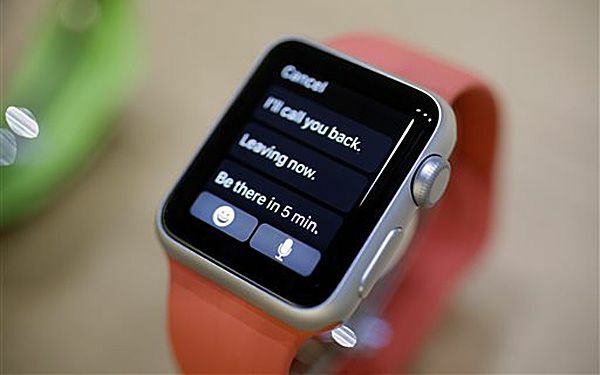 Apple's watch can succeed by the apple voice. The voice comes out of the watches microphone. The watch tells the person who is wearing the watch to do things that they might forget to do. I think that there are going t be a lot of people buying that watch. I would not pay $10,000 for an Apple watch that is like a phone but better.